Rio de Janeiro goes futuristic in Metropolis. In gauzy layers high above Guanabara Bay, the city is abustle, as dreamlike carnival processions and floating rush-hour highways spiral around massive edifices. Spirits rise and neon lights glow. Many landmarks are here, though not as you’d expect—Christ the Redeemer is dwarfed by the city, and the Mayan-inspired Metropolitan Cathedral is multiplied by the dozen. Behind a cobweb veil that creeps up the painting is an inseparable mingling of future and tradition. 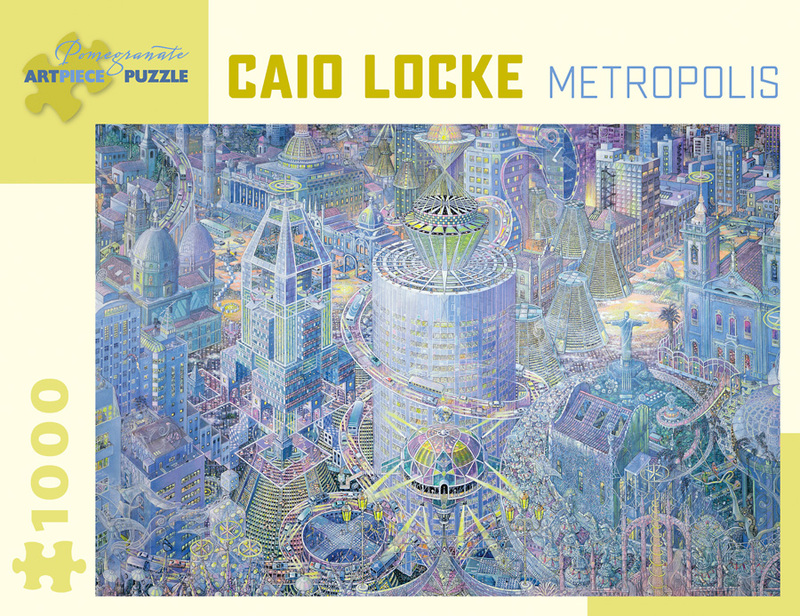 Anglo-Brazilian artist Caio Locke left behind a legal career to become a painter. 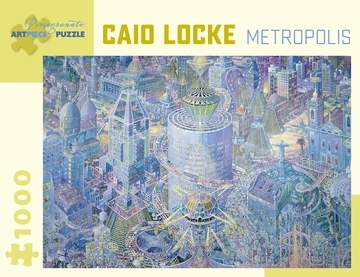 His travels between London and Rio de Janeiro influence his work, which often focuses on cities.